Welcome to my blog. 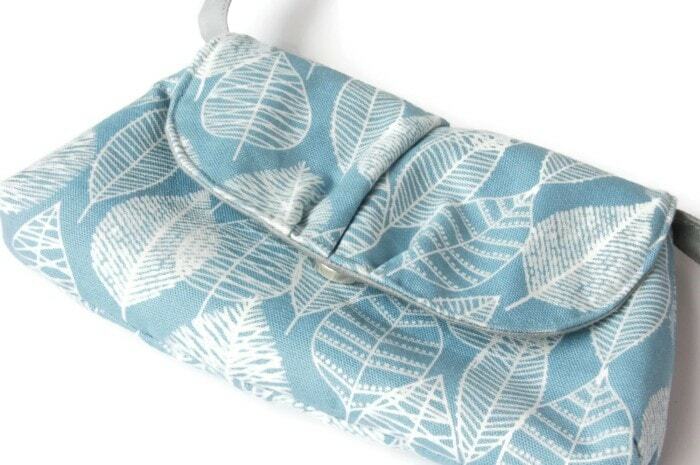 Today I am excited to be taking part in Sew Mama Sew May Giveaway. Thanks for stopping by. Why do I blog? I enjoy the focus it gives to my creativity, blogging twice a week means that I am regularly making and creating:) Often with a focus on upcycling, recycling an item into something else. Occasionally I wander slightly off topic and discuss thrifty ideas, gardening, a project around one of my children. DIY Picnic Rug tutorial – use up old shirts and a former shower curtain to create a fun unique picnic blanket. Update your wardrobe for nothing, transform a former skirt into a infinity scarf. 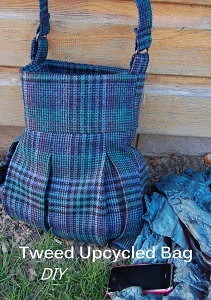 Or recreate a former wool skirt into a stylish new bag. Please do stop and have a look around. Onto the sewmamasew may giveaway:) The Pink Peony Bag measures 6″ by 9″, perfect for your wallet and mobile . It features a shoulder strap, plus a wrist strap. To enter please leave a comment about what makes you revisit a blog. This giveaway is open internationally. If you fancy making the bag yourself the pattern is available free from Charmed Liebling on the Sewmamsew blog. Thanks for visiting, please do pop by sewmamsew for some great giveaways, from supplies to other great handmade items. I like blogs that have lots of photos of their sewing,preferably with some tips on how to make it really good, the occasional tutorial is great too. I come back to blogs that feel like two friends talking. I like the camaraderie and bloggy friendships that feel like are forged. the we’re all in this together. I revisit blogs that show crafty things that are my style or that I look up to (i.e. they are way better than me). I guess whatever I find inspiring. I love how you take some old or no longer used, and then make something wonderful, new and useful again. I like a sewing blog that is easy to search, if they have tutorials/information. If it’s a personal sewing blog, then I like close up pictures and links/descriptions of how something was made or information/review about the pattern. I usually revisit a blog if the content interests me. Especially if there is a touch of humor in the writing. I like blogs that show off new patterns (freebies, tutorials or ones that I can buy) – it really helps me decide to make something if I get to see lots of pretty pictures of a completed project. Beautiful clutch! What makes me revisit a blog? For craft blogs, the writer has to create things that appeal to me and find interesting ways to write about them. I also have to feel inspired by the projects I see there. I come back to blogs that have lots of tutorials and pictures I want to come back to! I save a lot of ideas on Pinterest, and will revisit them from time to time to see what other great ideas the blogger has come up with since then! 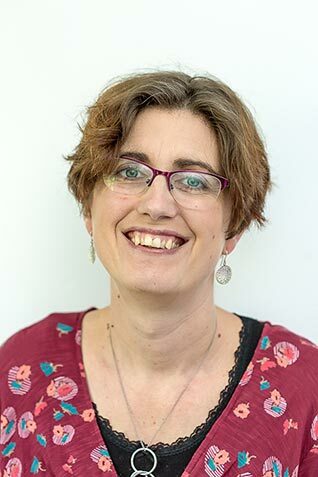 First the blog has to be about something that interests me, such as quilting, sewing, embroidery, sometimes cooking or gardening. Then, the two things that tend to keep me coming back are humor and the blog also sharing some of the personal life of the blogger. I also like it when the blogger shares about their pets and if the blog has tutorials of the kinds of things I might make. Unfortunately many tutorials are simplistic, and that is a big turn-off for me. I like to read blog posts that have tutorials or reviews of patterns. Love your bag! I’ve been looking for a cute little bag to take to Vegas…yours would be perfect! I love tutorials and good photos. Also stories about foreign places. Thanks! I’m inspired by your creativity and recycling into beautiful projects – thank you! I visit a blog based upon content, aesthetic quality, and whether or not I think I can learn something from the blogger. I revisit blogs that talk about real things, and that don’t just have recipes, crafts, etc. every day. I like to know the real person behind the blog. I love when blogs show the “how” of what was made… I like to learn while I’m reading! I revisit a blog when it has content that I find informative and/or inspiring: for instance, pattern reviews, tutorials, ideas for upcycling or organizing. Thanks for this generous giveaway! I really like tutorials and seeing finished projects. I love great photos with useful information. I prefer blogs that aren’t too wordy also. I love blogs that inspire me and do it in a way I feel like I can do it too. I love hilarious stories and adorable finishes! Thanks for the chance! A visually “pretty” site will get me to return. Thanks. I like to read a blog that shares family values and ideas for quilting and other projects. I like tutorials and bring inspired by the enthusiasim of the blogger. I like a really clean uncluttered look, with good quality photos. I like to see that a blogger has a cohesive style and good sewing technique. I also like to see that they have other interests – design, children, screen printing, green living, etc. What a pretty bag! I’ve actually thinking about making something in that size (smaller than my usual giant purse. My revisiting of blogs is usually based on the type of projects shared and the writing style. Keep up the great work! I revisit a blog when I connect to the writer. Pictures and process comments make me revisit blogs. I love reading about HOw other are sewing projects together…not necessarily a tutorial, but the process you used to create…and pictures. I learned everything I know about sewing from bloggers and I owe the blogging community for this love of charitable sewing. 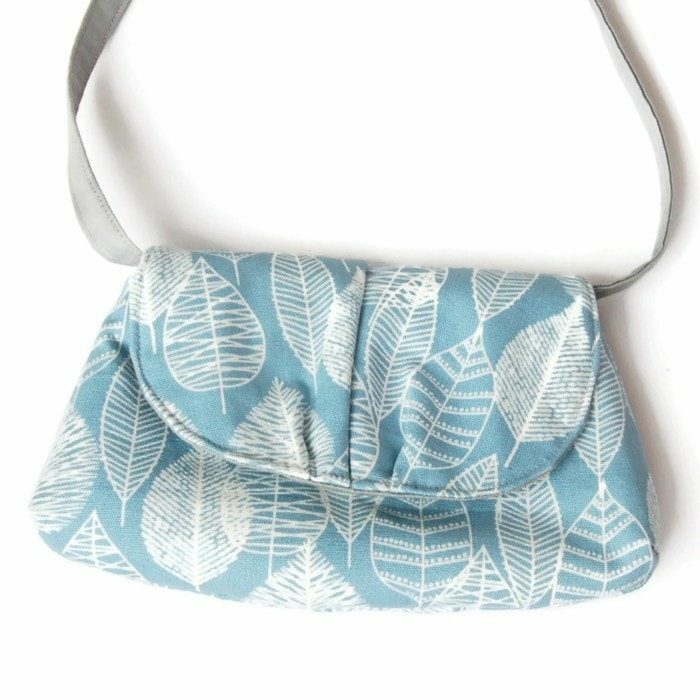 And I LOVE sewing purses! Your is so darn cute! I enjoy tips and good ideas and an interesting read. I like a good mix of topics and plenty of pictures!! The blogs I visit most frequently have good tutorials with loads of photos! What a beautiful bag! This fabric is so nice! Thank you! I love inspiring blogs, with pretty and modern projects. What brings me back to blogs are tutorials with comments on processes. It’s great to see pictures too! I guess I revisit blogs for two reasons. First, because I like what they make and it inspires my own projects. Second, because I enjoy the writer’s voice and simply feel connected to them. Thanks! I like brightly lit, eye catching photos. Lots of times I’ll pop over just for the eye candy, even if the subject matter or craft isn’t something I do. I visit blogs that I have things in common with. I also appreciate when a blogger replies to my comments. I love the bag and thanks for much for sharing the pattern! Susan recently posted…Sew, Mama, Sew! Giveaway Day!!! I usually revisist if the tutorials are good. Pretty pictures and yummy quilts and projects make me re-visit a blog. Happy giveaway day! I revisit blogs that share what they are working on with lots of pictures. I like pics and tutorials for inspiration and am always open to repurposing items that might otherwise be tossed. I like blogs that make me smile, have pics and tips. What a cute little bag! I revisit blogs for inspiration and be cause they usually have something I am interested in. Lots of pictures and a lot of humour brings me back! I love to re-visit blogs that share DIYs and tutorials and crafty tips and tricks. deb (two cheeky monkeys) recently posted…Sew Mama Sew May Giveaway Day 2014!!! I revisit blogs when what is created inspires me to create myself. Also I enjoy the community of like minded individuals. I find that when people include aspects of their own life in their creative blogs that makes it more interesting. There is one blog I love called “Sew and Sow Farm” and she lives on a farm (which I never have so it’s new to me). So she has interesting farm animal stories mixed in with her sewing projects and it is often entertaining to read. I love tutorials on sewing blogs but I also like to read about family life and other family activities as it gives me ideas for my own family. I love blogs where the person/writer seems real. My favorite is tutorials with colorful pictures!!! Tutorials for sure! Off to check out yours! I like blogs with tutorials. I revisit blogs with lots of pictures and personality! I visit blogs to inspire and get new ideas. I love reading blogs with lots of pictures, especially progress pictures! I enjoy tutorials and ideas that I would not have thought of. I like a blog that mixes making, with finished and progress pictures, mixed with personality and bits of life. I like sewing content with not too much personal drama or photos of dogs. Not keen on dogs. I love blogs with beautiful projects that are at the same time doable- and cool tutorials. I love blogs that share new patterns & fabrics. 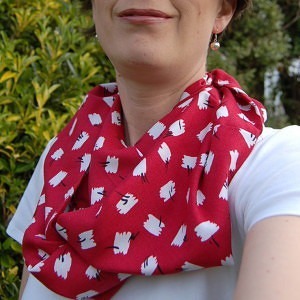 It’s always fun to find a great, new patterns that others have tried & like. I love seeing new, imaginative ideas and the creative ways others come up with when they sew and craft. I return to blogs that are easy to navigate, have lots of photos and have versatile content. I especially like a blog that has a real “voice”–not aiming for perfection. Lots of photos is always a good thing, especially ones that have been taken well with attention to details (i.e. you can actually see details!) and are a good size (so you don’t have to click on them to make them larger to see them properly). That pink peony bag is soooo cute! I would love to enter to win it! I usually will revisit blogs where the sewer (blogger?) makes items I am interested in making myself. I like to look for new ideas for sewing a pattern I current own or some cute twist to make my stuff more detailed. More often then not, I usually just skim the pictures and move on. If there is an pattern I am thinking of buying I might read someones notes. I find I come back to blogs where I’ve gotten to “know” the authors; little bits about their life, personality, etc., I find as important as content; I guess you could say the human interest element. I read a knitting blog even though I have no interesting in knitting because I like the woman who writes it and enjoy hearing how she’s getting on. I like blogs that are well-written (poor writing is really hard for me to read), with nice photos but not tons and tons of them, and projects I like. I love blogs that have interesting projects – especially tutorials that I can try out. Also when bloggers give us a little peek into their personal lives. great photography can make me revisit a blog. I guess I just love looking at pretty things. What a cute bag! I revisit blogs when I like the projects people are posting, when they inspire me, or when I catch a particularly thoughtful post that resonates. I love a blog that has a mix of posts: a bit of personal, a bit of ‘show and tell’ of things you have made and a bit of tutorials to show us how to make things. If its all one thing it can get boring. I love seeing a variety of sewing like quilting, bags, garments, etc. Lots of pictures, and clear tutuorials too. Love the colour of this clutch! Thanks for the chance to win! Cute! I tend to revisit blogs when I see things that I want to make, or techniques that I want to try out for myself. I enjoy pretty pictures on a blog and also a blogger who writes in an authentic voice. I love it when you read a blog and feel like you really know the person at the other side! I revisit blogs for ideas, patterns, and especially love ones that feel like a conversation with a friend. Something uniquely crafted will make me visit a blog for the first time, and more specifically if there is a tutorial on how to do something. A second visit is warranted if the first visit has a well written blog and great photos to accompany the information conveyed. I revisit a blog when there are ton of awesome things to look at. I love free tutorials, or patterns, I will always bookmark or follow a blog with lots of great tutorials, pictures, and ideas. I’m a photographer so I would have to say interesting pictures. I love upcycle projects! =) I also love lots of kid projects! Kaitlin recently posted…T-rex Dinosaur Softie Tutorial and Pattern! I seem to revisit blogs when the blogger seems to have taste similar to mine and also when the blogger makes quilts that I aspire to be able to try. Justina (Tina) Albright recently posted…It’s Giveaway Time! I think it is a balance for me I love finding inspiration and seeing things I might attempt or placed to visit but probably what draws me back is the ‘blog voice’ of the blogger and how they come across. RedSetter recently posted…Does wool represent life? When there are useful tidbits on info! I like a blog with projects I think I might try, entertaining posts, and real to life content. i go for humor. if a blog writer has a really unique voice, it gets my attention, & if they make me laugh, even better! I like reading tutorials the most, but I’ll revisit a blog when it has interesting stories, pictures and finished projects. I like tutorials with clear instructions and lots of photos. I love it when there are good tutorials on a blog- always keeps me coming back!! thanks for the chance! What brings me back to a blog are tutorials and clear, colorful photos. I also like to hear about the blogger’s life now and then. good tutorials that are helpful and easy to follow with lots of pictures always keep me coming back for more! A good tutorial is always worth a visit. i like blogs with a good personality, good pics, and a little sense of humor! Good photos and definitely tutorials. I like great photographs, recent projects, and tips to alter patterns to make the item or garment unique and well-fitting. But great photographs are a must. I like blogs that ask for reader involvement. I come back to blogs that I have a common interest in. Like yours. I love to reuse and upcycle. I’ll be back. Thanks for the chance. I like blogs that make me laugh! Great writing is always a bonus, too. Plus any bright ideas for keeping the kids entertained…. Projects I enjoy and may want to make, conversational tone, not just sales pitches/marketing speak, some life talk but mostly crafting. Thanks! I follow those blogs that stimulate me in multiple ways — fun quilts and projects, humor, clever writing, sidetracks like where an idea came from or the thoughts you have while quilting. I have been following you for some time, now. BTW, I meant to mention in my post that I love your pink peony bag, and in fact linked someone to that pattern who mentioned making bags to compliment jackets she had made for her mother and herself. This isn’t a separate comment, but should have been part of my first one. Too bad I don’t Tweet for the extra chance. I love that tartan bag. Really clever. Nothing like having unique homemade bags. Great tutorials and interesting posts. I come back to blogs for tutorials, recipes, and inspiring photos. I will revisit a blog if I feel connected with the writer. I like photos, but kept concise, and approachable writing. Nothing too showy or loud. Comfortable, like I feel I could be friends with them or enjoy a long conversation with them. I love blogs that have clear pictures, a neat background/design and interesting fashion topics. Damla recently posted…Romwe Bikini Offer! A good balance of personal/real and projects/tutorials. Similar interests/style/taste. I enjoy inspiring blogs, blogs with great pictures of sharing projects or tutorials! I also love it when I can see the personality of the blogger through their writing. I like blogs with lots of pictures, tutorials and giveaways. I like blogs that have a similar style to my own – it is where I derive my inspiration from. I also like following a project through start to end and hearing about all the fiddly bits and frustrations along the way! I love seeing projects by the bloggers, they’re great inspiration. Also love tutorials! I enjoy reading blogs that are not *perfect* 🙂 I like to keep it real! Lauren recently posted…Quilt Top Finish! PICTURES! I also come back if you can get a sense of who the writer is through the posts.. tutorials are great along with pics..but personality makes it even better. I like lots of pictures and ideas. Thanks for chance to win. I like a blog to have some information about the person’s life and some crafting. I also like humour and bright colour. 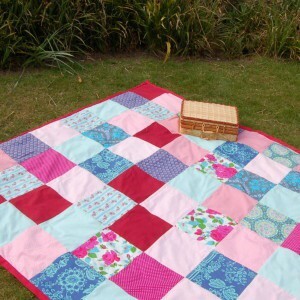 I like to visit blogs of quilters that make quilts that are in the style that I like and use colour the way I like. 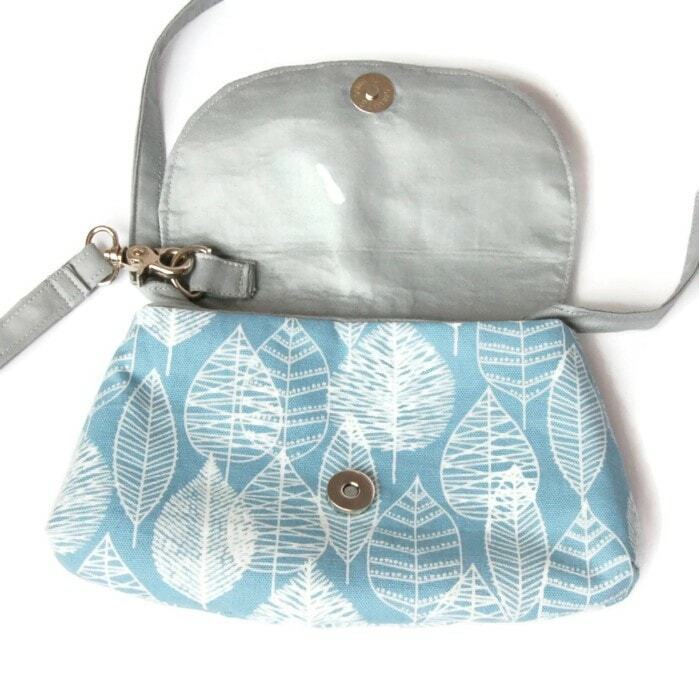 This is a very pretty bag with lovely fabric thanks for the chance to win it. I like to follow projects step by step. It’s fun to watch the progress. I love tutorials! I have so many great tutes bookmarked it isn’t funny! Thanks for the great giveaway! I come back to blogs when I like the style of person writing them and when they post tutorials or reviews on things that interest and inspire me. I enjoy reading about unusual ideas and projects. Especially upcycled projects so I’m happy to have found your blog. 🙂 Thanks for the chance! Fun pictures and projects, good storytelling, honesty. I love blogs that stay true to themselves. Melissa recently posted…Sew-a-bration of Womanhood: Pencil Skirt & Crop Top, Oh My! I bookmark a blog if I come across an interesting project. Photos of great fabric/projects also help. I’m going to bookmark your page because I’d like to take a look at your picnic blanket tutorial when I have more time. I’ve got a ton of t-shirts that I no longer wear but that are too worn to give away. And I do need a picnic blanket… Thanks! Tutorials and giveaways, for sure! I return for great project ideas and tutorials. Thanks so much for the giveaway!